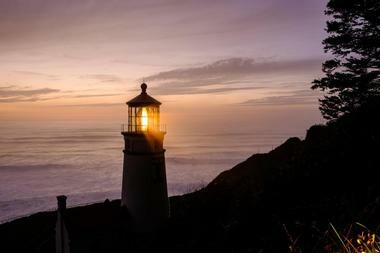 Sleep aboard a retired luxury ocean liner in California, spend the night in a working lighthouse in Oregon, get pizza delivered by a scuba diver in Florida, check into a romantic room surrounded by spectacular views in New Mexico, and find out about other unique hotels in USA. The places on our list are so amazing that you will want to pack your bags next weekend. Most are surprisingly affordable, with rates starting at just $30 per night. 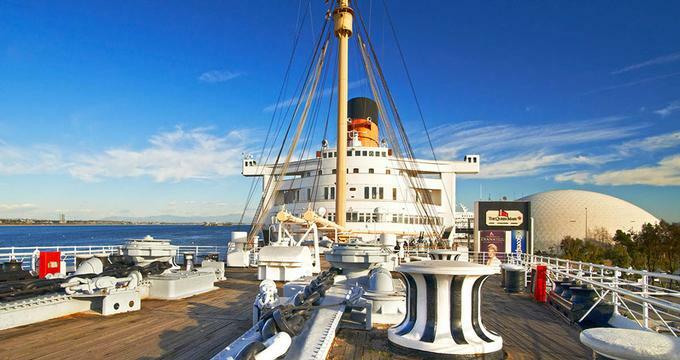 Stay on board The Queen Mary, once a world-class ocean liner, and now a luxurious floating hotel based in Long Beach, California. World-renowned as one of the greatest luxury liners to have sailed the seas, the RMS Queen Mary’s last voyage set out in December 1967 and now functions as a unique floating hotel with three award-winning restaurants. No less than 346 First Class staterooms and nine Luxury Suites offer unique accommodation across three decks above sea level. Staterooms are individually decorated with wood paneling and furnishings in Art Deco style, authentic 1930s artworks, and operable portholes. Modern amenities include air-conditioning, LCD flat screen TVs with satellite and Pay-Per-View movies as well as wireless Internet. Jules' Undersea Lodge is the world's first underwater hotel. Located at the bottom of the lagoon at Key Largo Undersea Park, Jules' offers overnight stays in the underwater abode, as well as scuba diving courses and underwater adventures. Since the hotel rests on the lagoon floor at 21 feet, you must be a certified scuba diver to access the lodge. The submerged building features creature comforts, such as a fully stocked kitchen with refrigerator and microwave, and a comfortable lounge area with books, music, and movies. Cozy bedrooms have windows where guests can lie downand watch the fish in the watery world outside, and include attached bathrooms with hot showers. If you are looking for unusual vacations, you will not want to miss this incredible place. In addition to overnight stays in the underwater Lodge, Key Largo Undersea Park also offers scuba diving, pizza lunches in the lodge, and three-hour Mini-Adventures in the lagoon. Rates start at $800 for two, including dive gear and underwater pizza delivery for dinner (Phone: 305-451-2353). Enjoy a once-in-a-lifetime experience and spend the night in a working lighthouse. The Heceta Head Lighthouse and Light Keeper’s house were built around 1894 and remain in working condition today. Listed on the National Register of Historic Places, the lighthouse features six guest bedrooms with queen size beds, cozy down duvets and wood-burning fireplaces, as well as beautiful antique furnishings. Five bathrooms offer showers and bathtubs while intimate parlors provide quiet places to relax and take in the magnificent views. A fully equipped guest kitchen is ideal for preparing meals. Guests are treated to a gourmet breakfast as part of their stay. Surrounded by breathtaking views of the Taos Mountains, Casa Gallina is located on the edge of Taos in a quiet, pastoral setting, offering guests a tranquil New Mexican oasis. Casa Gallina boasts five adobe-style casitas, which feature bright, traditional New Mexican furniture, art, antiques, and textiles from both New and Old Mexico. Cozy wood-burning stoves or kiva fireplaces create a warm and welcoming ambiance and fully equipped kitchens let you prepare your own meals. Casitas feature state-of-the-art technology in the form of a wireless laptop computer for personal use, high-speed Wi-Fi, satellite television, and a surround sound theater and music system. Outdoor enthusiasts will delight in the wealth of activities and adventures, from hiking, mountain biking, and white water rafting to snowboarding and skiing. For those wanting less action, the town boasts excellent shopping, art galleries and many restaurants and cafés at which to sit and watch the world go by. Rooms start at $195 per night (Phone: 575-758-2306). Nestled in the heart of Pennsylvania's Amish farming community in Lancaster County, the Red Caboose Motel offers unique and historic lodgings for families and individual travelers alike. Accommodation at the Red Caboose Motel offer comfortable rooms in caboose cars, all of which are fully equipped with refrigerators, microwaves, cable TV, private bathrooms, showers and bathtubs. Some rooms have private decks with beautiful views over the picturesque countryside and the historic Strasburg Railroad. Enjoy hearty food at the Red Caboose Restaurant, which serves old-fashioned family style fare for breakfast, lunch and dinner in a friendly setting. Dishes are created from fresh ingredients sourced from the local Amish farms, resulting in delicious farm-to-table cuisine. 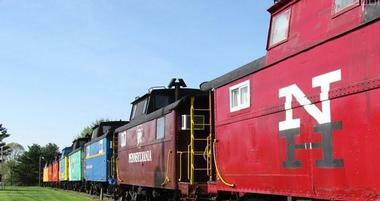 The Red Caboose Motel is located within close proximity to a variety of attractions, such as the Pennsylvania Train Museum, the Sight and Sound Theater and Dutch Wonderland. The kids will delight in the on-site interactive petting zoo, with sheep, goats, chickens, and ponies. Rates start at $95 per night (Phone: 717-687-5000). 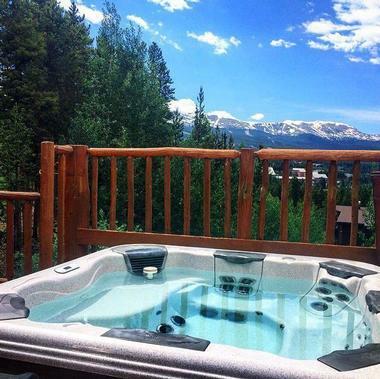 Designed for adventurers, ramblers, and mountain gurus, the Bivvi Hostel in Breckenridge is a cozy, mountain lodge with comfortable, contemporary accommodations, modern amenities, and breathtaking views. The hostel features 10 rooms, six of which are classic hotel rooms while four are designed as contemporary hostel rooms with bunk beds. Rooms have Norwegian Pine beds with personal reading lanterns and privacy curtains, and private bathrooms with showers and balconies with beautiful mountain views. Relax in the hot tub or around the outdoor fire pit with new friends, and have a glass of wine or craft beer from the bar. A delicious complimentary breakfast is served each morning. The the town is just a short walk away and offers a range of restaurants and bars for evening dining. Dorm rates start at $35, rooms from $65 per night (Phone: 970-423-6553). Located in the heart of Chicago’s celebrated Wicker Park neighborhood, Holiday Jones is a stylish urban rest stop that offers modern accommodations, deluxe facilities, and amenities and lies within walking distance of Chicago’s vibrant nightlife. Well-appointed rooms are comfortably furnished with custom-designed beds dressed in soft linens and blankets, windows that open and central air-conditioning heating throughout. Some rooms feature bathrooms with showers while others share bathrooms on each floor of the hostel. There is also free wireless Internet throughout the hostel. Grab a bite to eat at 5411 Empanadas, the hostel’s on-site restaurant, which serves delicious native-baked Argentinian-based delights. Relax over drinks and snacks in the lobby before heading out into the town to explore the wealth of restaurants, bars, clubs, shops, art galleries, and live music venues close by (Phone: 312-804-3335). Romantic Getaways in Illinois. 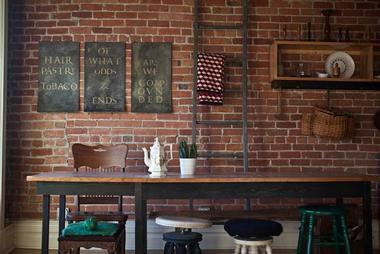 Honor & Folly is a design-focused inn in the heart of Detroit neighbourhoods. The eclectic bed and breakfast is situated above one of the city's busiest restaurants, Slows, and offers an old-world way of traveling. The inn has two bedrooms, each with a queen bed and additional sleeping arrangements for kids. A fully equipped kitchen has a washer, dryer, and dishwasher. Enjoy the use of free Wi-Fi throughout the apartment and take in the decorations of Detroit and Midwest made goods, which are also for sale. Dine at Slows, downstairs from the apartment, or wander down the street where you will find an artisan coffee shop, which serves delicious breakfasts, and a craft cocktail bar packed with locals in the evenings. Charming, friendly and full of excellent restaurants, bars, and historical attractions, Corktown offers an array of things to see and do during your stay. Honor & Folly is a 15-minute walk from downtown Detroit. Romantic Getaways in Michigan. Established in 1927 to provide trailer and camping spaces to travelers along the famous Highway 80, the Shady Dell has since become an institution, boasting quirky and vintage trailers and camper vans for guests to stay in. 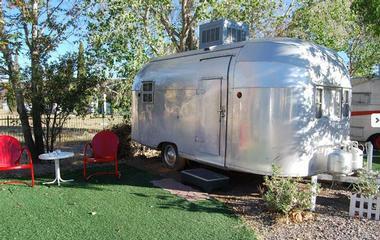 Located in Bisbee, Arizona, The Shady Dell promises an unusual and unforgettable stay. Trailers sleep up to two people and are comfortably furnished with beds and linens, a small refrigerator, and a coffee percolator. 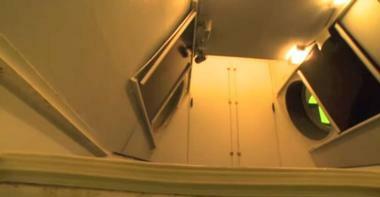 The trailers do not provide cooking facilities for safety reasons. However, guests may use outdoor grills to barbecue. A few of the trailers have a toilet and sink, as well as bathroom and showers facilities just a few steps away. The Shady Dell welcomes guests over 15 years of age only (Phone: 520-432-3567). 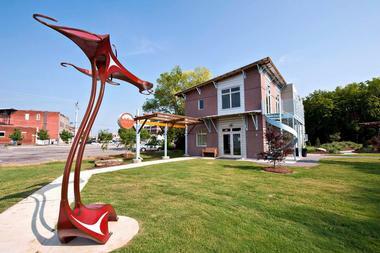 The Crash Pad is a unique, eco-friendly hostel located in the heart of Chattanooga’s Southside neighborhood. Opened by two climbers in 2011, the LEED Platinum-certified lodge is a comfortable, home-away–from-home abode where you can relax among friends. 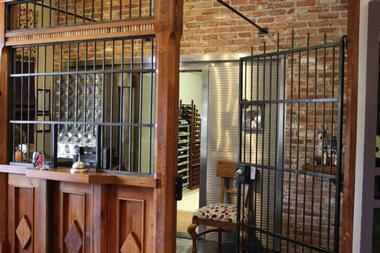 Guests can choose from boutique-style private rooms as well as 24 bunk beds in a common area. The Crash Pad features modern amenities that you usually find in a business hotel, including free 24-hour computer access, Wi-Fi throughout the building, fresh bed linens and central climate control. Prepare your own meals in the full kitchen and relax in the homey living room, a popular gathering spot. There is also an outdoor terrace and fire pit, a complimentary ‘do-it-yourself’ breakfast and freshly roasted coffee. The hostel is within walking distance of a variety of restaurants and bars for evening entertainment. 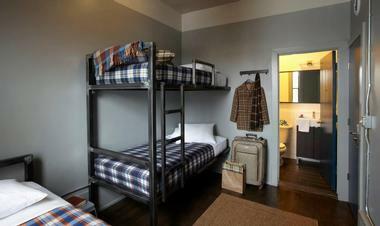 Bunks start at $30, private rooms from $79. The award-winning Rolling Huts in Washington's Methow Valley is a campsite like no other. Designed by Tom Kundig of Olson Kundig Architects, the unique huts have modern amenities and breathtaking views of the surrounding mountains. Rolling Huts have sleeping platforms for two, comfortable living spaces with furniture that can be converted to sleep two more people, cozy fireplaces, small fridges, and microwaves. Huts are equipped with free Wi-Fi for convenience and have portable toilets adjacent to each cabin. Full bathroom facilities with hot showers are housed in a large barn just a short stroll away. Larger groups of up to eight people can be accommodated in a beautifully preserved turn-of-the-century farmhouse, which has warm wooden interiors, spacious living areas, and a fully equipped kitchen. Rooms start at $135 per night (Phone: 509-996-4442). The Metro Hotel is a small, self-service boutique hotel modeled after those in Paris, reflecting French charm and tranquility. 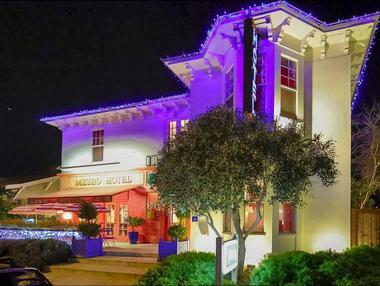 Housed in a 140-year old building in Historic Downtown Petaluma, the hotel offers well-appointed standard rooms with queen beds and two luxury suites. Rooms and suites are ecclectically furnished with particular individual touches and have modern amenities, including flat screen televisions, and private bathrooms with glamorous ball and claw bath tubs and showers. Some rooms boast beautiful garden views. The Hotel’s in-house café serves an array of complimentary hand-baked pastries accompanied by freshly brewed coffee in the mornings with lunch and dinner for guests later in the day. There are a wide variety of activities and excursions available nearby ranging from wine-tasting at surrounding wineries, historic sojourns through the town’s oldest buildings, and sailing, kayaking and boat cruises on the Petaluma River. Rooms start at $149 (Phone: 707-773-4900). 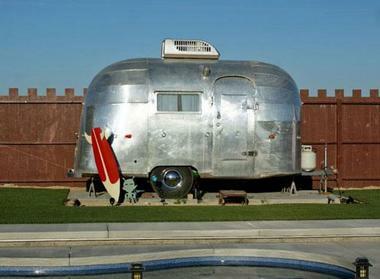 Home to an array of quirky themed trailers with just as quirky names, and surrounded by some of the most beautiful landscape in the country, Hicksville Trailer Palace and Artist Retreat in California’s renowned Joshua Tree provides a one-of-a-kind experience. Eleven individually designed and themed trailers offer guests a fun place to sleep, with themes such as a western cowboy theme (The Pioneer trailer), aliens and ghouls (the Integratrailor), and the 70’s disco shack of The Sweet. Trailers have comfortable beds, fresh linens, workstations, air-conditioning and heating and shared bathrooms. There is a range of facilities at the park to enjoy, including a solar-heated swimming pool, BBQ and bistro area for entertaining, a fire pit and a roof deck with a hot tub. There are games galore such as table tennis, archery, and mini golf, and even ‘Fort Dog’, especially designed for your canine traveling companions. Rates start at $100 per night. Situated near Flat Rock Park and Hords Creek Lake in Texas, Rancho Loma is a beautifully renovated 1878 ranch house that serves as an award-winning restaurant able to accommodate up to 32 diners. Attached to the farm restaurant is Rest, a modern five-room boutique inn that provides guests with luxurious overnight accommodation as a perfect complement to their meal. Set on a scenic 300-acre ranch, well-appointed rooms in the modern, flat-roofed inn are spacious and light, with wooden floors, high ceilings, and large glass sliding doors that embrace beautiful views of the surrounding terrain. Amenities include Italian linens , in-room espresso service and free Wi-Fi. An upgraded room features a private outdoor shower and tub. Relax in the outdoor swimming pool as you soak up the views, or head to Flat Rock Park and Hords Creek Lake to explore. Rooms start at $190 per night (Phone: 325-636-4556). 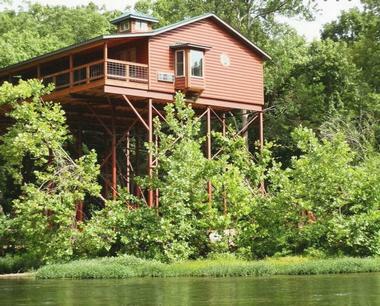 The Treehouse Cabins are located along the North Fork River in Southern Missouri and offer the perfect location if you want to canoe, kayak, or fly fish. This nationally recognized adventure region provides many options for fun in the sun and is an ideal setting for a romantic getaway. You will get to stay in a comfortable modern cabin while feeling like you are escaping to your own private tree house. 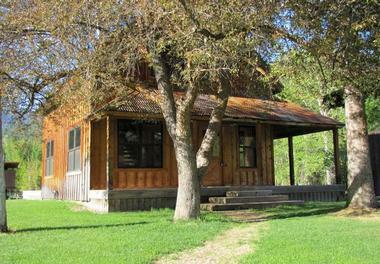 This location is perfect for those that want to explore the outdoors or have a wedding at the lodge. Accommodations include the Rainbow Springs Lodge that sleeps 8 comfortably, and one of 8 tree house cabins with amazing views of the river and stars. Have breakfast, lunch or dinner at the Falls onsite rustic restaurant. Rates start at $119 per night (Phone: 417-261-7777). L'Banca Albergo, meaning The Bank Hotel in Italian, used to be the old Jeff Davis Bank in Lake Arthur, Louisiana. Inside you will find 8 luxury suites, with the three suites downstairs featuring king size beds and the five upstairs suites including two queen size ones. Some rooms still have features of the bank, such as the night deposit safe, teller window, and vault door, and there is a fully handicap-accessible room. L’Banca Albergo also features a store known as the Wine Vault where you will find a wide range of wines in addition to Classic Bayou Rum and Crown Royal. There are featured house wines as well, which guests can enjoy in their room, in the lobby, or on the balcony. Rooms start at $119 per night (Phone: 337-774-7249). Romantic Weekend Getaways in Louisiana.